Nokia has crushed Apple‘s legal warriors in a patent dispute that has the iPhone maker coughing up a one-time settlement and ongoing licensing fees, announced Nokia in a press release today. The agreement between the two companies is the conclusion of a two-year standoff widely seen as the most significant patent battle in an industry rife with intellectual property disputes. While the exact terms of the agreement are strictly confidential, Nokia says that the licensing agreement is “signed,” which “will result in settlement of all patent litigation between the companies, including the withdrawal by Nokia and Apple of their respective complaints to the US International Trade Commission,” the press release reads. The fight between Finland-based Nokia and Cupertino, California-based Apple began in October 2009, when Nokia filed its first patent claim against Apple. The dispute included demands by Nokia that Apple pay royalties on all iPhone devices sold. Eventually, Nokia had a total of 46 patent claims against Apple. 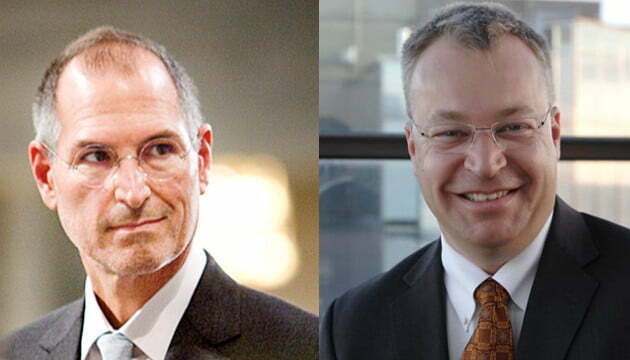 In turn, Apple filed its own patent infringement claims against Nokia. The settlement is big for two primary reasons: First, it shows that its possible to beat Apple at a game for which it is fiercely competitive. Second, the agreement proves the strength of Nokia’s patent portfolio. Because of this, the company’s stock jumped 3 percent in the Helsinki, Finland stock market. And Nokia will be able to revise its second quarter 2011 outlook, which brings the company’s operating margin back up to break-even numbers.